I’ve always wanted to find an affordable eco friendly way to care for my skin. That’s when I decided to experiment in my kitchen with natural products. The goal was to create skincare that nourishes and cares for my skin in the healthiest way possible. Hello Loveliness! I whipped this up (literally) in my food processor and relished every drop. My skin was in love with me. 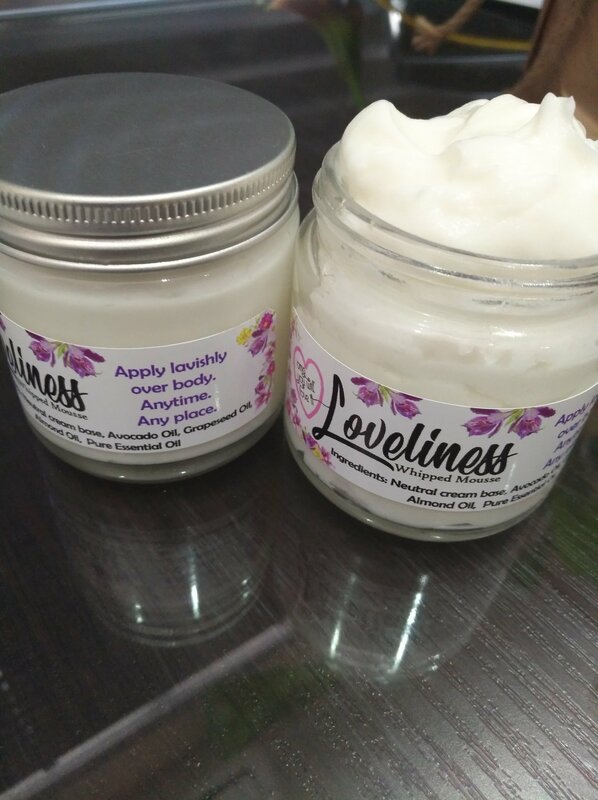 It’s paraben free, sulphate free, paraffin free, aqueous free, alcohol free, vegan and eco friendly. Phew. I use pure essential oils for fragrance, and make per your fragrance request.